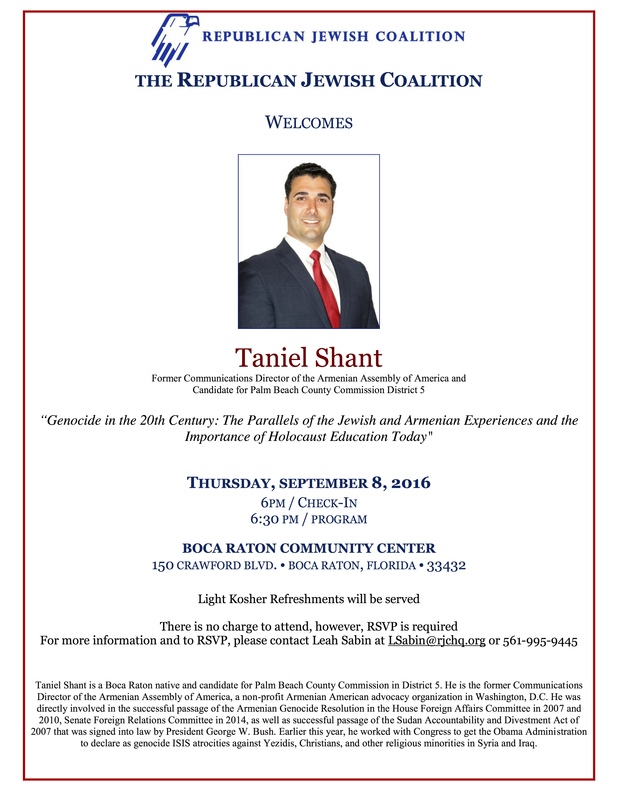 BOCA RATON, FL – Last month, Palm Beach County native Taniel Shant officially launched his campaign for Palm Beach County Commission in District 5, which covers southwest Palm Beach County, west of Boca Raton, Delray Beach, and Boynton Beach. To learn more about Taniel Shant, his background, education, political experience, and his vision for Palm Beach County, please visit www.tanielshant.com. You can also follow the Taniel Shant for Palm Beach County campaign on Facebook www.facebook.com/tanielshantpbc, on Twitter @TanielShantPBC, and on Instagram @TanielShantPBC.